Seems like Kelly Osbourne is starting off on a new journey since news of her breakup with fiancé Matthew Mosshart. Osbourne 29, reportedly ended her relationship with the vegan chef Matthew Mosshart after a courtship of almost three years. The couple reportedly met and hit it off at model Kate Moss’ wedding back in the Summer of 2011. Since ending her engagement, Kelly Osbourne has been spotted spending time and hanging out with friend Justin Bieber. 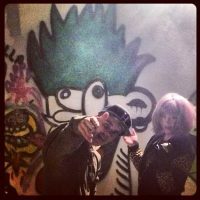 Osbourne posted up photos of her and Bieber hanging out working on urban art and graffiti together. In one photo, Osbourne is seen holding a paint can adding on some yellow horns to Bieber’s artistic cartoon turtle graffiti artwork. 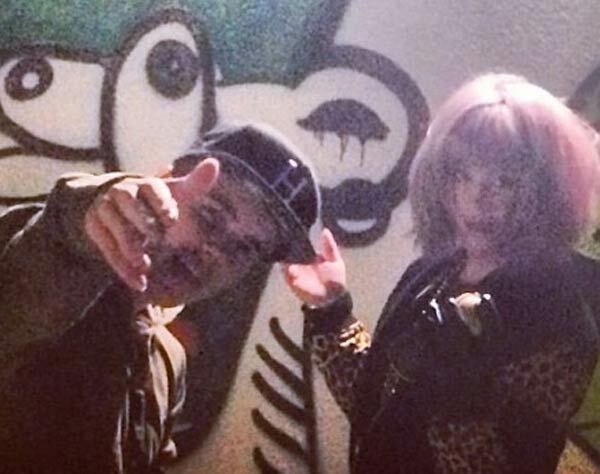 Check out a couple of photos of Kelly Osbourne and Justin Bieber hanging out and being artistic.